The Beaver River is perfect for novice paddlers and offers fabulous views of the Niagara Escarpment. Park and launch at designated sections or arrange to have a canoe delivered. Northwinds Beach is located along Highway #26 in Craigleith. 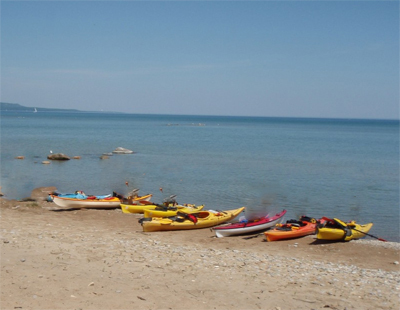 Free Spirit Tours offers kayak rentals from their kiosk at Northwinds Beach. They also offer a kayak tour to the wreck of the Mary Ward. Eagle Adventures offers Kayak and Canoe trips starting from Northwinds Beach, as well as Zodiac trips to the wreck of the Mary Ward. Blue Surf is a watersport retail store located across from Northwinds Beach and offers rentals of Stand Up Paddle Boards (SUP). 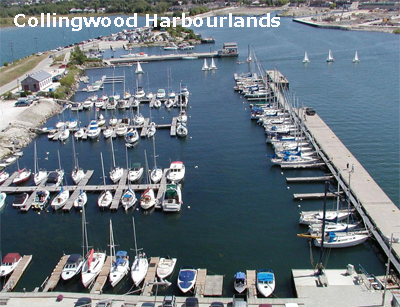 The Collingwood Harbour is operated by Collingwood Parks and Recreation. Municipal docks are available adjacent to the launch ramps. 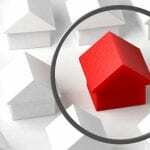 Tour operators offer a variety of cruises and excursions (see links below). 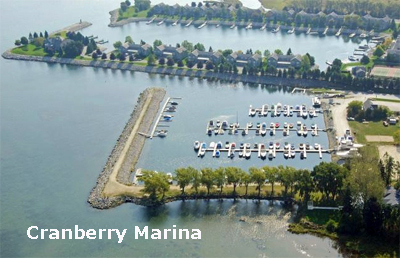 Cranberry Marina is located off Harbour Street and is part of Cranberry Resort. Seasonal and transient docking is available. 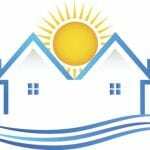 There are 140 docks available with a 60′ maximum and 7′ draft allowance. Cranberry Marina also offers a variety of watercraft rentals. The Harbour facilities are operated and maintained by the Town of The Blue Mountains. The marina has 250 docks with a maximum length of 100′ and 7′ draft. Seasonal and transient moorings are available. 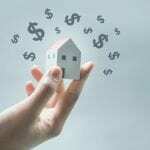 Services include fuel (gas and diesel), pumpout, washroom, showers, drinking water and ice. 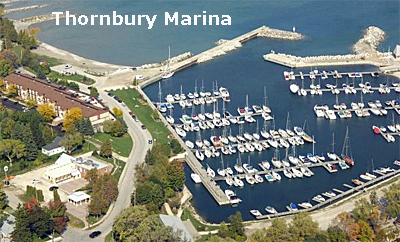 The Meaford Harbour has a parkland area, municipal marina and community pavilion. The Harbour Marina has 195 slips with a mximum length of 45′ and 9′ draft, and features an administration and comfort station with washrooms, showers, and lounge. Seasonal and transient mooring is available. 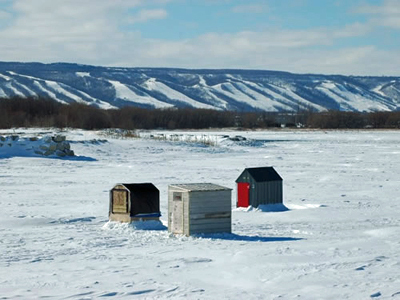 The Bruce, Grey, and Simcoe area is an angler’s paradise with year round fishing and a variety of species. Both small and large mouth bass are popular, as are Chinook, Coho and Atlantic salmon, lake trout, muskie and perch. The Thornbury area offers great fishing opportunities. The Fishway is a fish ladder you can see from the bridge just east of Bruce St. In the Spring, Rainbow Trout make their way up the Fishway and from late August to late October, adult spawning Chinook Salmon make their way up the Fishway. 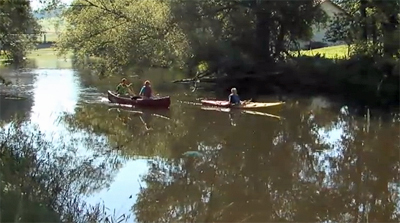 Rivers such as the Bighead, Beaver, Pretty and Nottawasaga attract anglers. To view what’s in season, visit the Ministry of Natural Resources website.